For those of you looking for a more refined look and visually striking lawn. your neighbours or areas inside and outside of your business premises. leave their toys all over the lawn, well this might be the grass for you. little more traffic, perfect if you have children who like to run about a lot. This is ideal for regular usage and looks beautiful all year round. 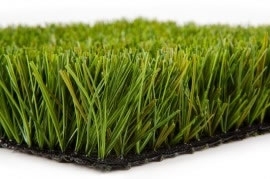 If you're looking for a professional, friendly and local artificial grass turf company you've found us! We can come and see you. We have many different grass types and styles to suit various gardens and landscapes. Synthetic Turf so realistic its hard to tell that its not real grass! of foot traffic, from people taking part in sports to children at play every day. Say goodbye to mowing your lawn every weekend, applying expensive grass treatments and all that back breaking weeding. Unless you’re a professional green keeper its virtually impossible to achieve the perfect lawn – until now! For the cost of a good quality carpet you can have a stunning lawn, all year round and hardly have to lift a finger to maintain it. The benefits of having an artificial lawn are numerous. blades stay where they are looking just as green as before. 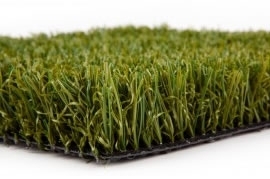 soft with high quality Duraspine grass blades. We guaranty you’ll be impressed. 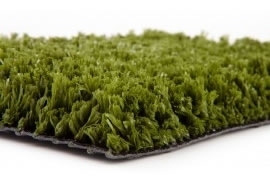 Our synthetic hard-wearing grass is the ideal solution to the age old problem of muddy grass. Yes real grass is beautiful to look at until its been walked over too many times. Muddy patches in a lawn can have such a negative impact on the image of your business. Its more important than ever to impress and entice your customers into your shop, bar or restaurant. 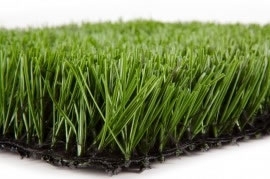 Maintenance costs should also be a factor when considering the benefits of artificial turf. Just think how much time an effort goes into maintaining that area of land outside your business. 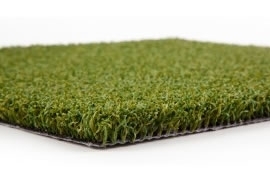 Lets not forget the interior of your building too, with artificial grass you can have a lawn’d area inside now too! With a truly beautiful finish this grass is luxurious. Its as well suited to small areas amongst a rockery as it would be in the main lawn area. Oh and not to mention allowing great practice space for the golf enthusiast! people want to ask and are always available to give advice. We have a range of sample swatches to view and our staff are always happy to visit our clients at their premises. in styles, colour and texture. to achieve the highest standard. botch job on the cheap and disappear with your money. “quick buck” before we move on to the next town. to us. All our clients are happy to recommend us to their friends and family and that’s the way we would like it to stay.